The United States confirmed it had restocked Israel’s supplies of ammunition, hours after finally sharpening its tone to condemn an attack on a United Nations school in Gaza that killed 16 people sheltering there. Israeli airstrikes and shelling continued overnight and into the morning leaving 17 Gazans dead and dozens injured, bringing the 24-day death toll to 1,380 with 8,000 injured, according to the Ministry of Health. The Israeli military confirmed that 20 “sites” had been hit overnight. The dead included five people, including Majdi Fseifis, 22, killed in a bombing that hit a crowd of civilians near a mosque in the Abasan area east of Khan Younis. Also in Khan Younis, one Palestinian was killed and four were wounded in a strike that hit a motorcycle in the Ma’an area south of the city. Maha Abd al-Nabi Salim Abu Hilal was killed in a strike on her home that also “seriously” injured her husband and three children. She was brought to Abu Yousef al-Najjar Hospital. Suleiman Baraka, 31, and Aref Baraka, 58, were also killed in a strike, and their bodies were both brought to the al-Aqsa Martyrs’ Hospital in Deir al-Balah. The dead overnight included Yusuf Ibrahim, 19, son of the Undersecretary of the Ministry of Social Affairs who died of wounds sustained in an Israeli attack on Nuseirat refugee camp the day before. Ahmad al-Luh died early Thursday in al-Aqsa Martyrs’ Hospital as a result of injuries as well. Israel launched the current assault — called Operation Protective Edge — in early July as part of what it said was an effort to combat rockets, but has since changed the focus to destroying what it say are tunnels dug from Gaza into Israel. Hamas has insisted that any ceasefire include an end to the eight-year Israeli blockade, which has severely crippled the tiny coastal enclave’s economy and led to recurring shortages of basic goods. “Obviously nothing justifies the killing of innocent civilians seeking shelter in a UN facility,” deputy State Department spokeswoman Marie Harf acknowledged, in some of the toughest US comments since the start of the 23-day fighting in the Gaza Strip. National Security Council spokeswoman Bernadette Meehan also condemned “those responsible for hiding weapons in United Nations facilities in Gaza” and warned of rising fears that thousands of Palestinians who have been told by Israel to leave their homes increasingly had nowhere to go in the blockaded narrow coastal strip. US officials also warned that patience with “crazy” Israeli criticism of would-be-peacemaker John Kerry had snapped. “The United States is committed to the security of Israel, and it is vital to US national interests to assist Israel to develop and maintain a strong and ready self-defense capability,” Pentagon spokesman Rear Admiral John Kirby said in a statement. Kirby said Pentagon chief Chuck Hagel told his Israeli counterpart that the United States was concerned about the deadly consequences of the spiraling conflict, including a “worsening humanitarian situation” in Gaza, and called for a ceasefire and end to hostilities. Anonymous Israeli officials have hit out at Kerry’s truce proposal, calling it “a strategic terrorist attack” and criticizing it for being a “Hamas wish-list” including moves to lift a long-standing Israeli blockade of Gaza while failing to address Israel’s security concerns, such as Hamas rocket fire and a network of underground tunnels. Stressing the “unprecedented” US support for Israel, Harf hit out at Israeli elites’ “offensive and absurd” claims that Kerry backs Hamas. “I don’t know what else you can assume about the intentions except that they’re designed to hurt our relationship,” she added. Washington, which has provided billions in military aid to Israel, including funding the Iron Dome shield protecting the country from Hamas rockets, was “very committed” to Israel’s security, which is “why these vicious attacks on the secretary are just crazy,” she added. Israel is defending itself from the ruthless and unwarranted attacks against it by the terrorist organization known as Hamas. If middle eastern countries would just leave Israel alone and give up their evil quest to eradicate Israel from the face of the earth then there would be peace in that region of the world. 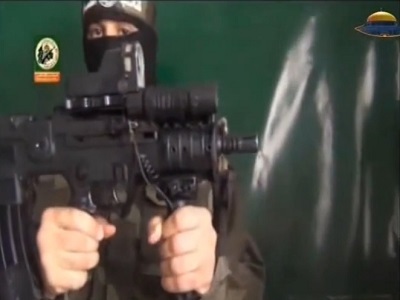 Hamas has no business drilling tunnels into Israel. None. Hamas has no business using civilians and civilian areas as shields. None. Hamas is no different than homicide bombers who kill defenseless and innocent people just because they want to. The real truth of the matter is that Hamas started a war and is getting the short end of it. You have got a short memory. In the previous 2 conflicts IDF tied Pal teenagers in front of the vehicles so that the Pal resistance would not fire. Check your facts before complaining. Gaza has the most number of journaist concertrated in one area. Not one of them found that missiles in school, houses, hospitals and places of worship. Also, Israel is prosecuting those responsible for murdering the young Palestinian boy that precipitated this war. What is Hamas/Palistine (or whatever it wants to be called) doing about those responsible for murdering the three young jewish people? What ae they doing to bring those murders to justice? Don’t u read the article above, 1380 palestinians died already due to Israel army forces, and as far as I know Hamas is the one defending their country thou, are u blind or pretending to be one..3 young jewish people? do you really know the truth behind the real story of it or just want to make another propaganda .. God Knows Best..